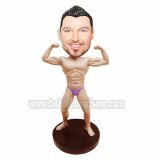 Select the sample bobble head body and allow us fully customized the head that likeness the photos you provided. Here we can take a photo of any man you choose and cast him into the athletic prodigies. We guarante your 100% satisfaction. 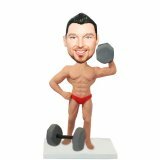 With a white and red baseball uniform and a handsome pose with strength, this is a baseball bobblehead doll for him. 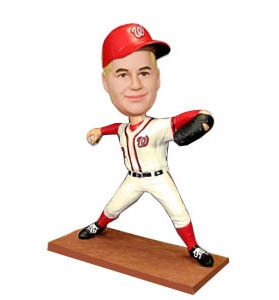 I think this will be a very cool bobble head. Cant'wait to see the end result.